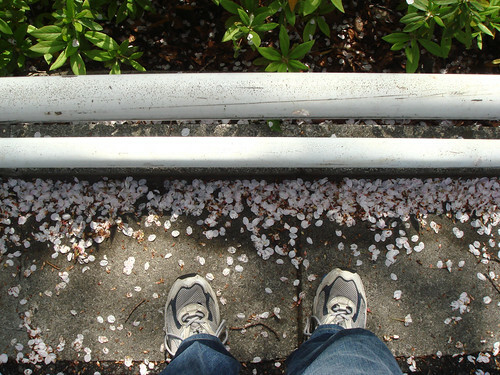 Cherry blossom season is here...and has pretty much passed already, as the beloved pink flowers of Japan have a frightenly short life span and are often used as a metaphor for the life of samurais - blooming for a brief period and then falling at the very height of their beauty. Whether the tough and hardened samurais of medieval Japan were happy being compared to something as frail and pink as the sakura flower I do not know. Anyway, I have added this year's batch of sakura shots to my cherry blossom photo album so have a look!